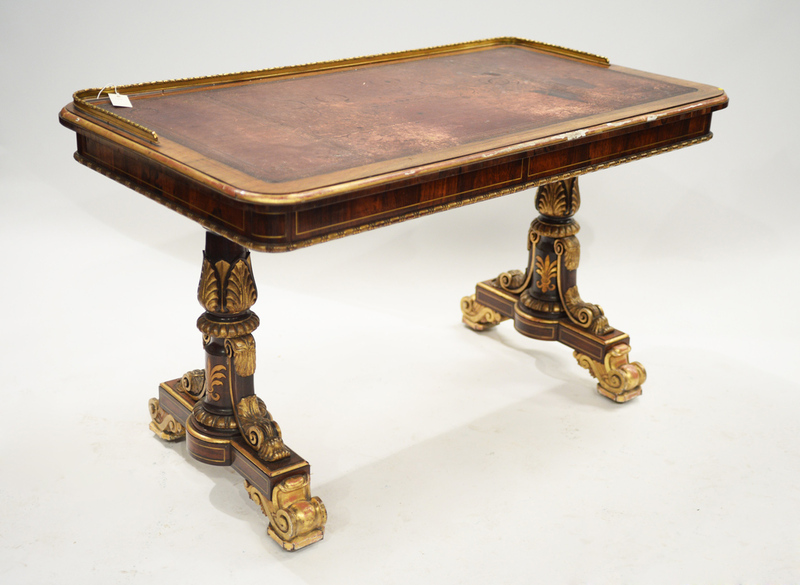 A Regency rosewood and parcel gilt writing table from the Duchess of Northumberland’s home at Alnwick Castle - £8000 at Anderson & Garland. Comprising many items from the Duke of Northumberland’s homes, the ‘attic sale’ held by Anderson & Garland boasted pieces of higher quality than the sale title suggested. Among them was this Regency rosewood and parcel gilt writing table from the duchess’s sitting room at Alnwick Castle. Attributed to the eminent makers Morel & Hughes, it doubled the estimate selling at £8000. Leading the October 27 sale in Newcastle was an early 19th century mahogany breakfront bookcase possibly to a design by Sir John Soane. It was estimated at £2000-4000 and sold at £12,000. 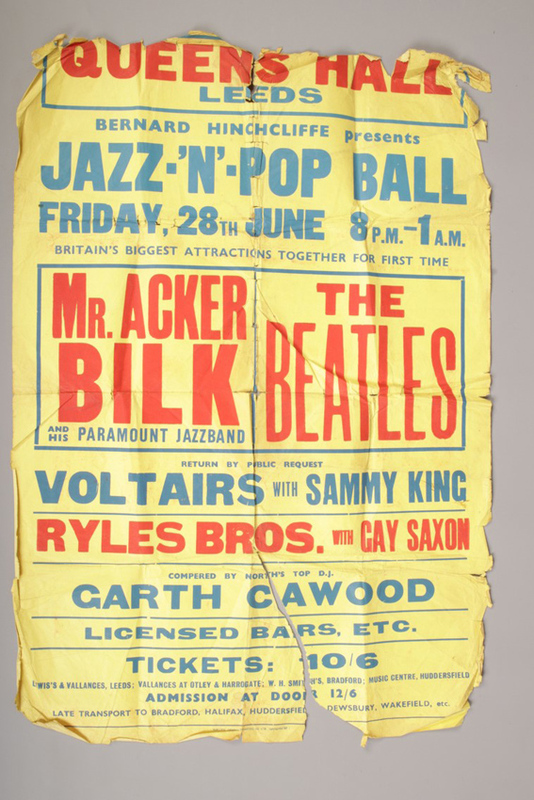 A poster from The Beatles' only appearance at Leeds Queen's Hall - £3600 at Paul Beighton. Estimated at just £15-30, this poster sold to a bidder via thesaleroom.com at £3600 at Paul Beighton in Thurcroft, Rotherham on October 28. Although in very tired condition, key to its appeal is the mention of a band enjoying increasing popularity in June 1963. Watched by 3200 people, this was The Beatles' only appearance at Leeds Queen's Hall, although they did perform at the city's Odeon Cinema on three other occasions. At the time the Fab Four were sharing the top of the bill with Bernard Stanley ‘Acker’ Bilk (1929-2014), the clarinettist with goatee beard whose 1962 instrumental tune Stranger on the Shore had been the UK's biggest selling single of 1962 and - shades of things to come - was the first number one single in the US by a British artist. Maltese sugar bowl and cover - £4800 at Woolley & Wallis. The dual appeal of Maltese silver lies in both a sense of national pride and a very limited supply. Despite its modest size and its various eras of occupation, Malta and the wealthy of the Knights of St John sustained a vibrant silver and gold working tradition across several centuries. 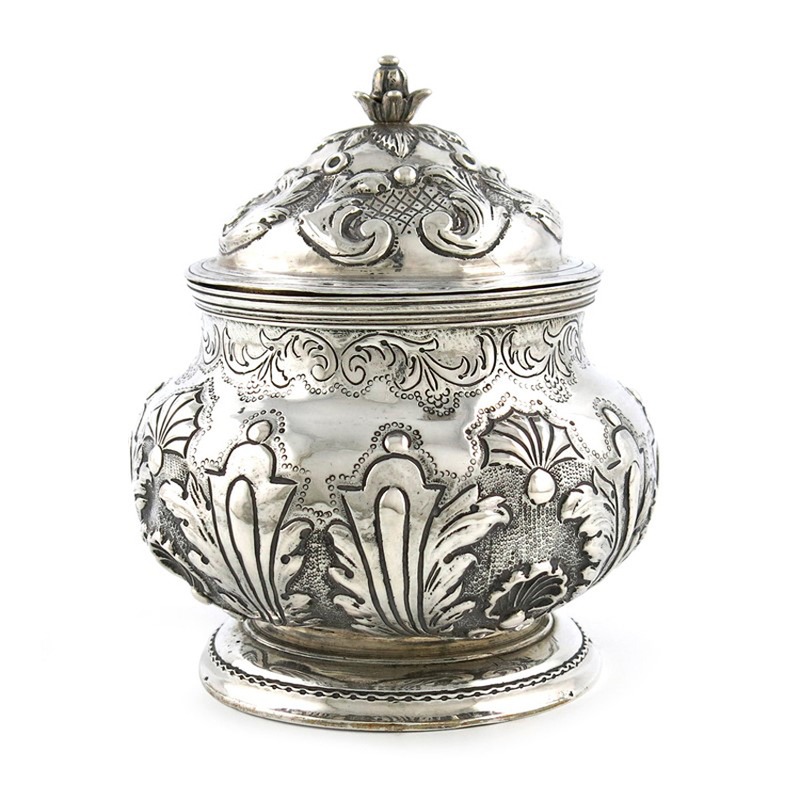 An estimated 600 silversmiths worked there from 1680-1820. Relatively little survived on the island for reasons that were two-fold. A treasure trove of Maltese gold and silver was melted down on the orders of Napoleon and few vessels of a significant silver content were spared. Equally, as an important naval station, Maltese decorative arts frequently left their homeland as mementos of a tour of duty. All this explains the multi-estimate response to a Maltese sugar bowl and cover offered by Woolley & Wallis in Salisbury on October 30. Maltese silver is typically catalogued according to the name of the presiding Grand Master of the Order of St John with this vessel c.1730 from the time of António Manoel de Vilhena (1722-36). Its distinctive features include embossed shell and foliate decoration, a raised circular foot and a pull-off cover with a foliate finial. It is marked only with the letters MA with an eight-pointed cross. Estimated at £400-600, it took £4800 and will go back to Malta. A rare Royal Doulton Lambeth plaque painted with a kangaroo and joey in a bush landscape - £1900 at Lawrences of Crewkerne. Among the most desirable of all Royal Doulton Lambeth productions are those depicting scenes of flora and fauna from Australasia. 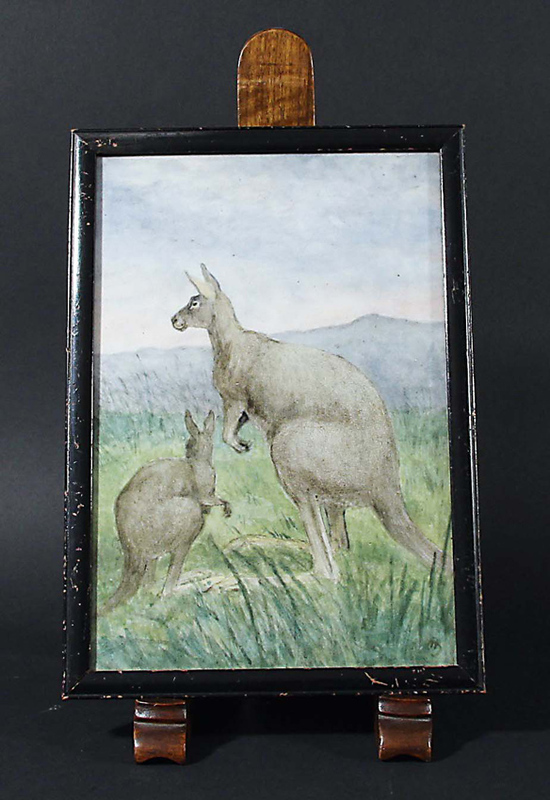 This rare 10in x 7in (25 x 17cm) plaque painted with a kangaroo and joey in a bush landscape includes the monogram of the celebrated factory artist Hannah Barlow (1851-1916). At Lawrences of Crewkerne on October 11, it sold at £1900 (estimate £300-500). Similar Barlow plaques depicting a cow and cat in a barn and three horses in a field sold at £1600 and £700 respectively. 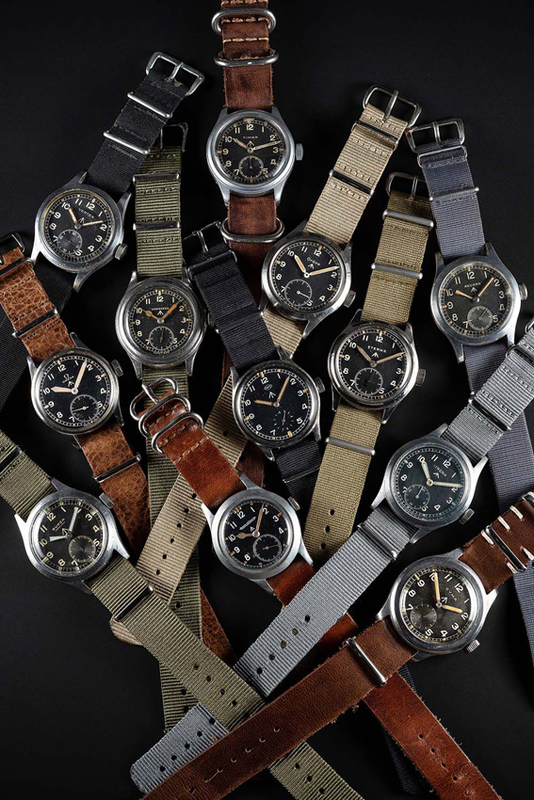 A complete set of the so-called ‘Dirty Dozen’ watches - the 12 Swiss manufacturers commissioned to supply the British Ministry of Defence during the Second World War sold at £30,000 at Watches of Knightsbridge. The November 3 sale at London saleroom Watches of Knightsbridge included a complete set of the so-called ‘Dirty Dozen’ watches - the 12 Swiss manufacturers commissioned to supply the British Ministry of Defence during the Second World War. It sold as a single lot for £30,000 to a bidder via thesaleroom.com. The full set consists of watches by Buren, Cyma, Eterna, Grana, Jaeger Le Coultre, Lemania, Longines, IWC, Omega, Record, Timor and Vertex. The majority have serial numbers to identify the wearer and symbols to show them to be government property. Many are engraved WWW which back in the 1940s stood for Watch, Wrist, Waterproof. The rarest of the 12 is the unassuming Grana military issue c.1945 as perhaps as few as 1500 were made by this otherwise routine maker. It alone can bring over £5000.